244-Hey Tony Pass The Meatballs Huh ? Home » Blog » Blog » 244-Hey Tony Pass The Meatballs Huh ? On today’s show I once again discuss meatballs. We had AMAZING meatballs tonight that I made with some leftovers and some interesting spices and flavors and textures. Trying to be thrifty, I used up some left over spinach pine nut pie and white rice combined with a few other special ingredients to make meatballs. 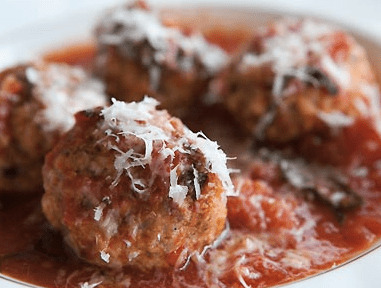 They went above and beyond your typical Italian American meatballs with red gravy-I think anybody would love these.